Rainforest holidays really can support on-the-ground conservation work, as World Land Trust (WLT) supporters Joy and Mick Braker recently discovered. 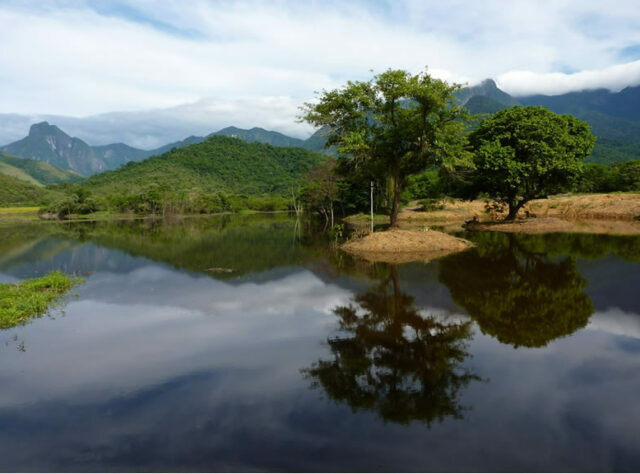 Visiting the Guapi Assu Reserve in Brazil, just a two hour drive from the capital Rio de Janeiro, they were able to experience the beauty of the Atlantic Rainforest while seeing first-hand what their support was achieving. 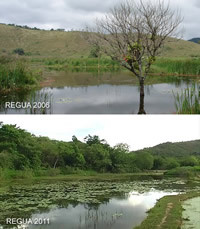 Above: REGUA wetland in 2006, in the early stages of recovery. 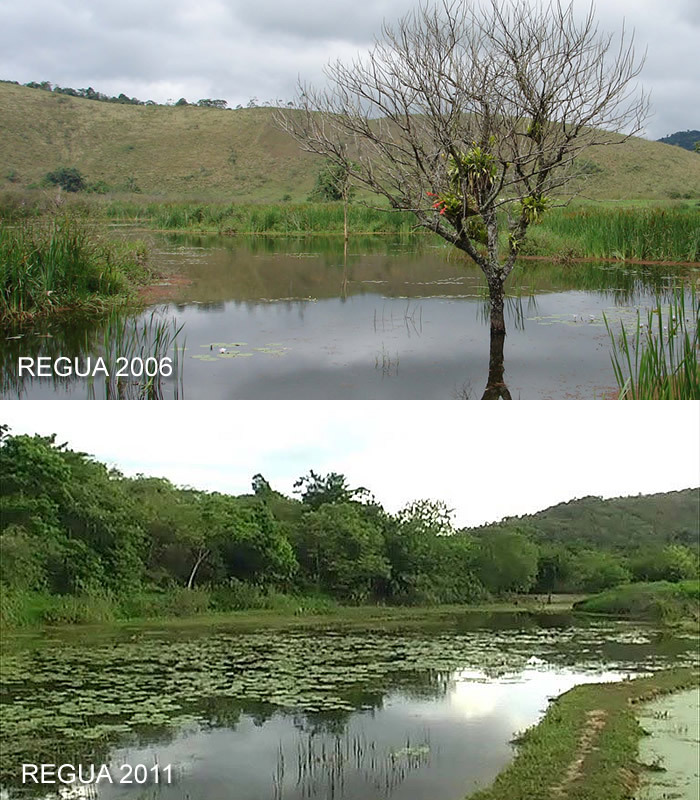 Below: REGUA with restored forest cover in 2011. Stretching over 18,000 acres of tropical forest nestled on mountainous slopes, the Guapi Assu Reserve is home to the charismatic sloth, elusive puma, and an array of colourful hummingbirds – to name just a few of the species that this reserve helps protect. This was Joy and Mick’s second holiday to the reserve, having visited four years earlier, giving them a fantastic insight into exactly what had been achieved in this short space of time. They snapped some great ‘before’ and ‘after’ photographs, capturing conservation in action. Following their holiday, Joy and Mick donated to our new Plant a Tree with WLT appeal as they were keen to support the reforestation programme on the Guapi Assu Reserve. The area was once farmland and some of the forests and been cleared and the wetlands drained to make way for agriculture, severely degrading this habitat. Joy and Mick saw the transformation into a natural haven for wildlife, first-hand. WLT loves to receive photos taken by WLT supporters visiting project sites. They give a fresh sense of what a reserve is like and help us to tell a story in a different way. 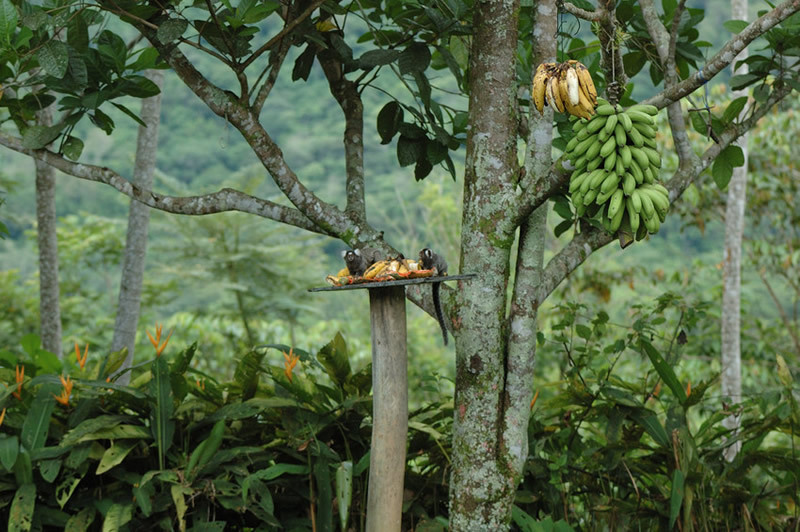 The marmosets visiting the feeding table were photographed by Chris Morris during a BIAZA trip to REGUA last year. WLT encourages supporters to visit the nature reserves they help fund, as there is no better way to demonstrate the beauty and importance of the reserves. Also small-scale and responsible tourism is one of the key ways our partner organisations will become self-sufficient. WLT helps support 23 partner organisations across the world that own and run the reserves, with the aim that they will all eventually become sustainable and no longer need our financial support. Visiting the reserves also gives supporters an incredible insight into what your donation is achieving and the knowledge that you are really making a difference. Joy and Mick’s experience is a prime example of this, after their recent visit to Brazil they generously supported us through Plant a Tree with WLT and the Big Give Christmas Challenge, as well as already being WLT Partners. 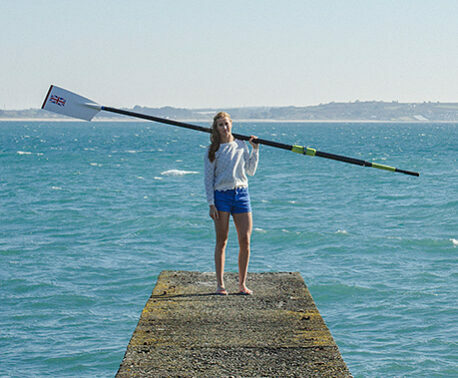 Joy and Mick have seen what their support can achieve and have clearly been inspired. We love to hear about your experiences of visiting the nature reserves across the world, so please get in touch with your stories. Find out how you can visit a WLT-funded nature reserve. 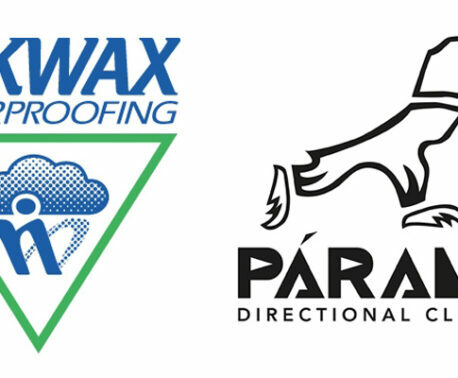 Discover how to become a WLT Partner. Donate to Plant a Tree with WLT as the perfect green Christmas gift.